Beautifully crafted, solid easels for artwork and display purposes. 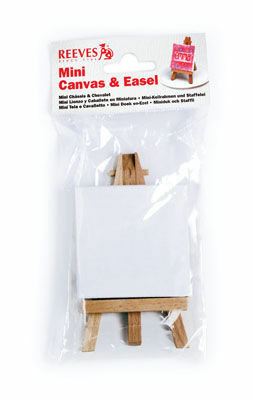 Discover the perfect easel for many sizes and types of canvas. The large selection incorporates studio easels, table top easels, box easels, sketching easels and an eco-friendly range of bamboo easels. 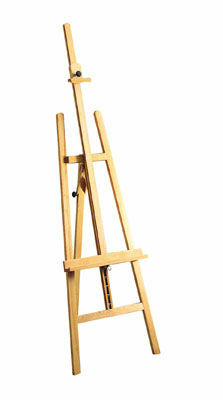 Convenient and portable easels, suitable for painting and drawing or sketching small scale works. Also great for use as a display stand for your completed artworks. 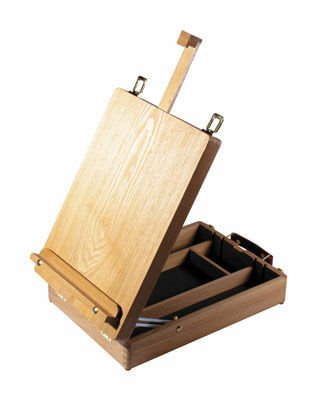 A range of lightweight, stable and portable sketchbox and field easels. A range of popular brands, including Winsor & Newton, Reeves and Jasart easels, suitable for a variety of canvas sizes and types. Hardwearing easels, perfect for studio use. Versatile and durable in assorted shapes and sizes, including the robust Winsor & Newton Mersey A Frame Easel. 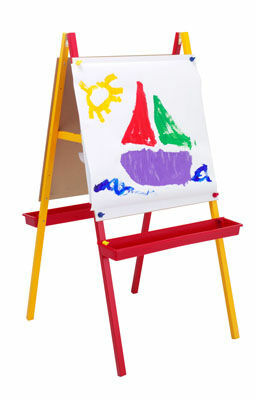 Sturdy and compact for kids, these children’s easels feature chalkboard on one side and whiteboard on the other, with 2 colourful trays for holding paint cups, brushes and chalks.